Looks like these are finally making there way out. The center of the stacks are magnets, and so are the Counter Weights. Zac has been working on these for a few years now and it looks like it will finally happen! Krisztian Kaluzsa says – Who needs hubstacks? Current State: I am entertained. Matador play is very hard and very entertianing, EDIT: Must be ESPECIALLY hard without spikes! This was done on a Gnarwal! Rollout pushes Side Cap limits! More Screaming Eagles Revealed! Duncan + Stacks? 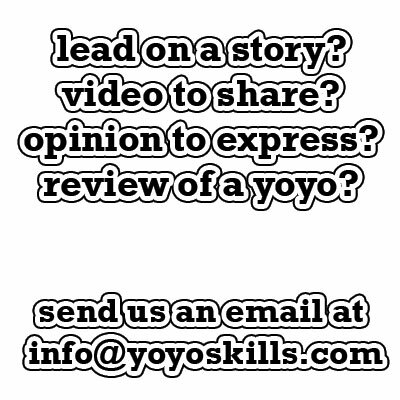 As seen at the Singapiore YoYoing Blog (Which you should totally be reading every day) Momentum, with stacks?! Diversion. With Caps and a Ceramic Bearing Interesting…….